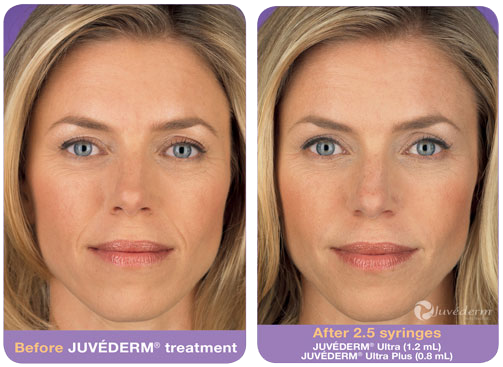 Before and after results using Botox or Juvaderm. At Phillips Aesthetic Dermatology, we understand that more often than not, a person feels much younger than they look. With our expertise in skin rejuvenation, injectable dermal fillers, and lasers we can help everyone look the way they want to feel - Incredible! Reinvigorate your confidence and boost your self-esteem with the latest cosmetic dermatological treatments delivered by the competent and knowledgeable providers at Phillips Aesthetic Dermatology. Book a cosmetic consultation and find out what treatments would be right for you. At Phillips Aesthetic Dermatology, we offer very competitive prices on injectable fillers. You will find that our costs offered to you are lower than what other offices offer during their "price breaking sales." Both products include lidocaine for patient comfort during injection, and there are no additional office or consultation fees. Phillips Aesthetic Dermatology provides it's clients with high quality, affordable service. Please contact us for more information regarding our Botox treatments.